I am really pleased with how this mod turned out, and it did give me a boost of confidence. 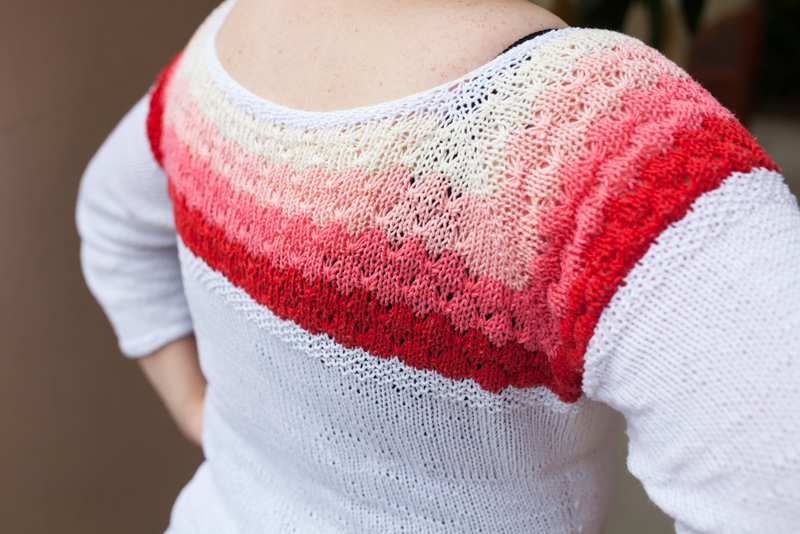 I love the patterned yoke (which I used to think would give me even bigger shoulders than I have), I love the colours (I used to think that red was just not for me), I love the cuffed sleeves (certainly will wear it with bracelets) and the buttons! I love how it fits over my back as well. If you are interested, I kept fairly detailed project notes over on Ravelry. 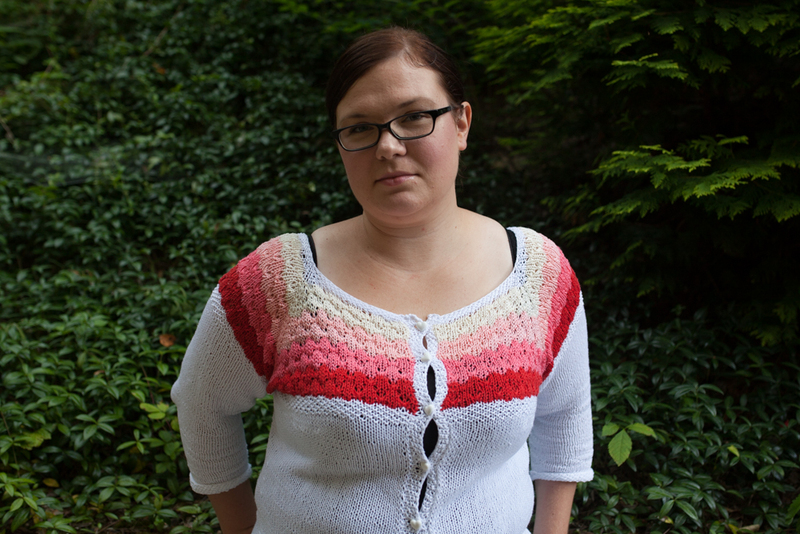 I knitted this as part of Very Shannon´s super busy and super fun Summer Sweater Knit Along, and as there is a lot of time left, I have already joined it with another project 🙂 More on that later, now let me show you one more pic, taken by my husband´s super kind colleague.